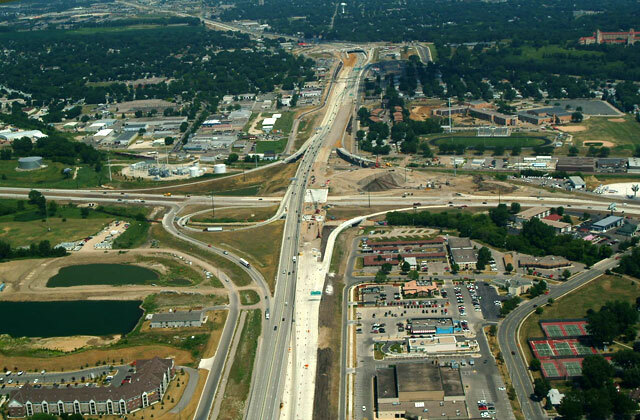 This project designed over 11 miles of six-lane freeway and constructed 26 bridges. The design was completed in early 2004 and construction was completed at the end of 2006. During the proposal phase, Alliant was involved in investigating many alignment, profile, and geometric alternatives. To assist the contractor in his bid, color preliminary layouts and profiles, construction limits, drainage, and quantities were produced for the alternatives.